Since this post was written, much has been happening in the Red Light Camera Ticket world. First of all, the Florida Supreme Court ruled in Jimenez v. State, on May 3, 2018, that cities are within their rights to have cameras installed and issue tickets. As soon as that ruling came down, it caused a huge blow to our (and all) attorneys ability to fight them. Basically, once that ruling came down, the courts had to allow cities to write tickets and it made it nearly impossible to fight them successfully. So, how does this relate to anyone out there that received a Red Light Ticket and was looking for a refund because lower court rulings had determined they were written improperly? What do you think? Because the Supreme Court gave them the “green” light (sorry, couldn’t help myself), I would think the Class Action lawsuits would dissolve. I’ll keep you posted if I hear differently, but like I wrote in the original post, getting money back from the government is nearly impossible, so don’t hold your breath. 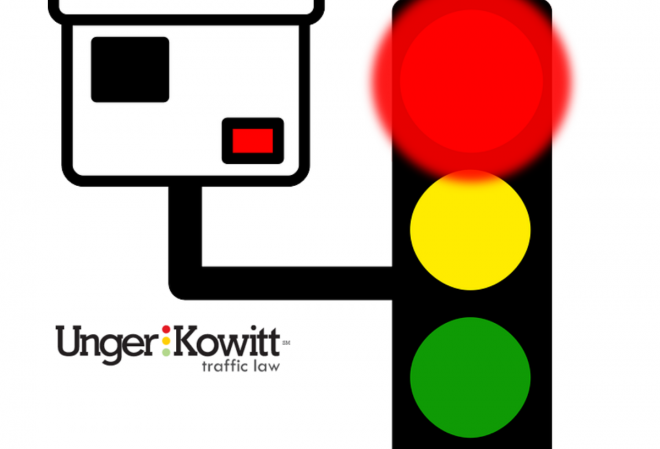 If you’ve received a red light camera ticket in Florida in the past few years, you may be aware of a ruling against the city of Hollywood that deemed their red light camera program unconstitutional. Finally, those of us who have felt tickets issued by machines instead of humans (and issued to the owner of the vehicle and not the driver) had so many inherent flaws that they couldn’t possibly be legal, were given hope. Hope that red light cameras would disappear forever; hope that we’d never see speeding ticket cameras; hope that the rules that have been around for centuries (i.e. the right to confront your accuser, due process, notice and the right to be heard, innocent until proven guilty, etc. . . ), weren’t being taken away from us. Because there’s way too much money at stake, every other city of Florida continued writing red light camera tickets in the hopes that they would be able to keep the money generated in their cities. Immediately, plenty of class action lawsuits were formed because people who had heard about the ruling wanted a refund. Makes perfect sense. If the tickets should not have been written, then those people who received and red light camera ticket and paid it should get their money back. Let me ask you, how many times have you ever gotten money back from the government? Exactly. Those suits continue to travel through the courts, and if I was one of those people hoping for a refund, I wouldn’t hold my breath. During this time, the city of Aventura altered the way their red light camera ticket program worked and in a recent lawsuit against them, the courts ruled that the changes they made were sufficient and their tickets were deemed permissible. What a mess. So basically, each city is going to have to be sued so that they can prove to the courts that they are either behaving like Hollywood or like Aventura, or something else entirely. In the meantime, the ruling in the city of Aventura was sent up to the Supreme Court so we may finally get a definitive answer. But none of this should affect the class action lawsuit. At the moment, there is no question that the city of Hollywood was acting improperly when it issued its red light camera tickets. If they end up changing their procedure, that should not affect all the tickets that were written improperly. Refunds should have immediately gone out to those aggrieved. However, because the money is split between a public and private entity, I’m afraid there will be very little if any money coming back to the innocent victims. For now, if you get a red light camera ticket, don’t pay it. My firm will be happy to view the video for free and discuss your best option. As to the class action lawsuits . . . we’ll keep you posted.